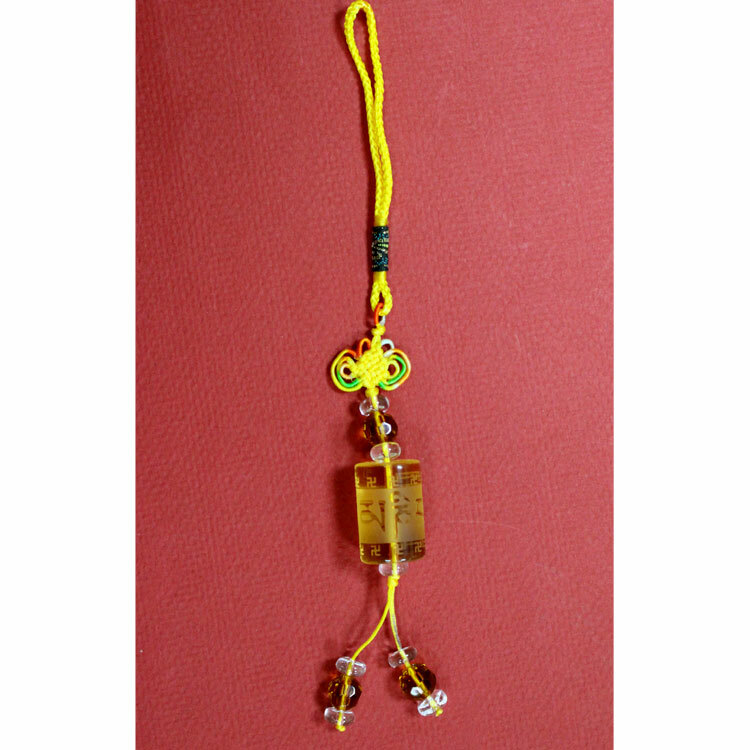 This beautiful amber-colored crystal charm features an etched Buddha of Compassion mantra. Hang this respectfully in your car or home for a little extra blessing! Man-made crystal and measures approx. 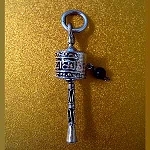 1 inch tall (3 cm), with string approx. 8 inches (20 cm).